For most companies contemplating moving some or all of their IT requirements to the cloud, improved operational efficiencies are most frequently cited as the primary driver. However, making the switch to cloud-based services can also save companies money. A recent study conducted by the University of Manchester Business School and a US-based storage company confirmed this, with 88 per cent of cloud users saying they had reduced IT costs and 56 per cent agreeing that moving to the cloud made them more profitable. And according to strategic consultant Tom Nolle, the cost savings can be even more acute for small businesses. With cloud-based services, significant capital expenditures on hardware and software can be avoided. Rather than purchasing and maintaining expensive servers and software applications, you can simply rent what you need from your cloud service provider. Industry-leading cloud service providers maintain robust security protocols through their data centres, with exacting standards for redundancy and data backup. In addition, cloud applications are regularly updated, which means you’ll always have access to an application’s latest features and functions. With cloud-based services, all the tasks related to maintaining IT infrastructure are usually handled by your cloud service provider. That means your in-house IT team can focus its attention on high-priority initiatives instead of devoting all of their time and energy to installing and managing servers and software, running backups or responding to user inquiries. Usage-based billing means you pay only for the services you actually use. This can vastly reduce the incremental costs of bringing new employees on board or supporting additional customers. Rather than having to buy a new server, configure it and install software on it, you simply request the cloud services you need from your provider. For example, adding a new employee who needs access to a full suite of office applications can be expensive if you need to purchase a complete new license, but if you’re using a cloud-based service like Office 365 from Bell, each additional employee can be added quickly and at a much lower cost than purchasing a completely new license. If you currently maintain your own in-house servers, outsourcing to cloud-based services will ensure that your company’s power consumption will be vastly reduced by simply eliminating racks of servers and their power-hungry cooling requirements from your premises. Every company’s requirements are different. You will have to do careful cost analysis to determine just how much money you can save by moving some or all of your IT requirements to the cloud. There is ample evidence, however, to suggest that doing so can improve more than just your operational efficiency — it can also improve your bottom line. 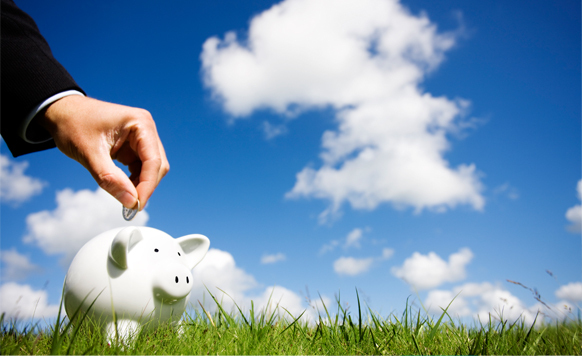 Have you recently switched to the cloud as a budget-trimming tactic? Let us know about it in the comments below. As long as big company’s like Facebook and Google (and others) insist on selling my personal information they will not get my support. Any individual or company moving their information to the cloud is risking everything. I think the risk out weighs the benefit, don’t be lazy, manage your own data. Dwayne, have to say your logic is flawed. Well not really flawed, but mostly irrational. 2) you used the web and possibly a website called Linked In to voice your views, do you not think perhaps that LI is the same as Google and the rest in terms of data collection. The world has changed drastically in our live Dwayne, we’re left with two alternatives now, surf and compute and be VERY careful, or remove ourselves from the grid and play analog Monopoly in our basements the rest of out life. Not wanting to sound blunt, but it’s here, be careful, but be accepting, you’ll be shocked how much fun today’s world is.